Steven King is one of the most prolific and successful writers of our time. He also is one of the most dedicated. If you haven’t checked out his nonfiction book On Writing: A Memoir of the Craft , we here at Essay Fiesta recommend it…big time! King chronicles his own journey as a writer, relaying his pitfalls and triumphs, ultimately leaving the reader with some great writing tips and plenty of encouragement. And who knew King blasts heavy metal as he writes? It may be worth a try! 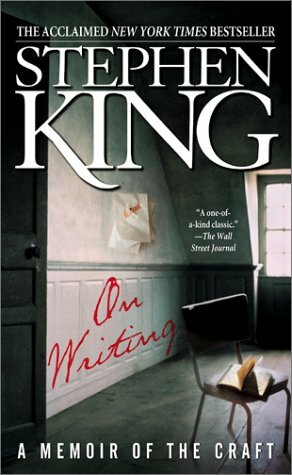 I’m a very big fan of On Writing… I’ve re-read it several times and always find something new I missed! LOTS of good advice in there! « Announcing Our March Readers!